According to a poll organised by Le Soir [one of the two main ‘serious’ French-speaking newspapers] with the Dedicated polling agency, the procession of the SHAME demonstration consisted of 44% of Bruxellois [inhabitants of Brussels, the officially bilingual capital], 35% of Walloons and 21% of Flemings. Furthermore, attachment to a united Belgium (16%), demands for a quick government formation (15%) and the expression of frustration at the political class (13%) were the main motivations of the protesters. Belgium’s future is perhaps not a bright one. But polls have shown, even in Flanders, that most Belgians want their country to continue existing, albeit perhaps in different political configurations (the Flemish want to devolve more powers to the regions and communities, whereas the French-speakers tend to support a stronger central government). The main issue, and one that many people have discussed in the past, is that there is no longer a common Belgian polity. Parties are no longer national, but regional. Flanders tends to be far more right-wing than Wallonia and Brussels. People don’t watch the same television channels, listen to the same radio stations or read the same newspapers. So the question is – can a country continue to exist when the links between its two main communities are severed one by one? I’d like to think so. Belgium, in many ways, is a microcosm of Europe – different communities with little in common linguistically and culturally, one Germanic, one Latin, living together side-by-side and trying to find common solutions to their problems despite their differences. If Belgium can’t continue to exist, then I don’t see how Europe can ever hope for greater integration. If the centrifugal forces of bringing two peoples together under one sovereign are too enormous, I don’t understand how one hopes to unite 27 or more nations in one political federation. Plus, Belgium really is a great country. 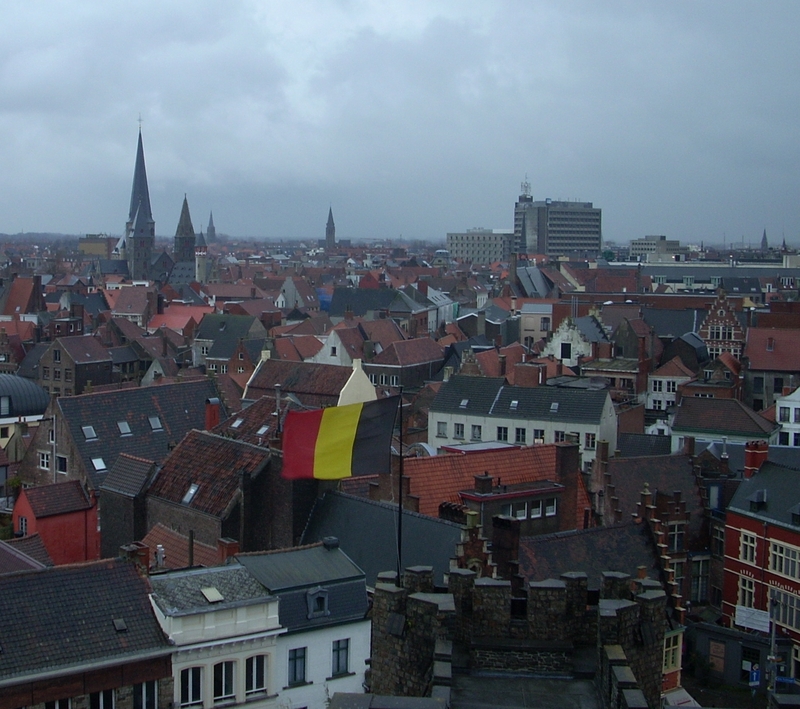 I lived there for two years: one in Ghent, one in Brussels, straddling the linguistic divide. My family lived there for a while after that, and I’m now working for a Brussels-based company, going back to Belgium every month or two. And despite its weather and infuriating politics, I love the people, the beer, the food, and the ironic, nonsensical humour. My suggestion? Make Belgium a world heritage site, and have UNESCO ensure that no-one tries to do any further damage to the place. They can’t do a worse job than the current lot in power. That made me smile. I always did think the people of Belgium were a no-nonsense lot, and that it’s mostly politicians that can’t agree, not the people. I’ve never heard any serious belligerent talk against the other half from citizens myself…Great demo. You hear the occasional resentful comment about the Flemish being evil fascists or the Walloons being lazy, and it’s probably not a good idea to speak French in some Flemish towns (especially Antwerp), but you’re right, the people generally get along pretty well otherwise… well, in the few instances where they actually meet and talk any more.